So we did it! We survived! Spring officially started today, so goodbye winter. 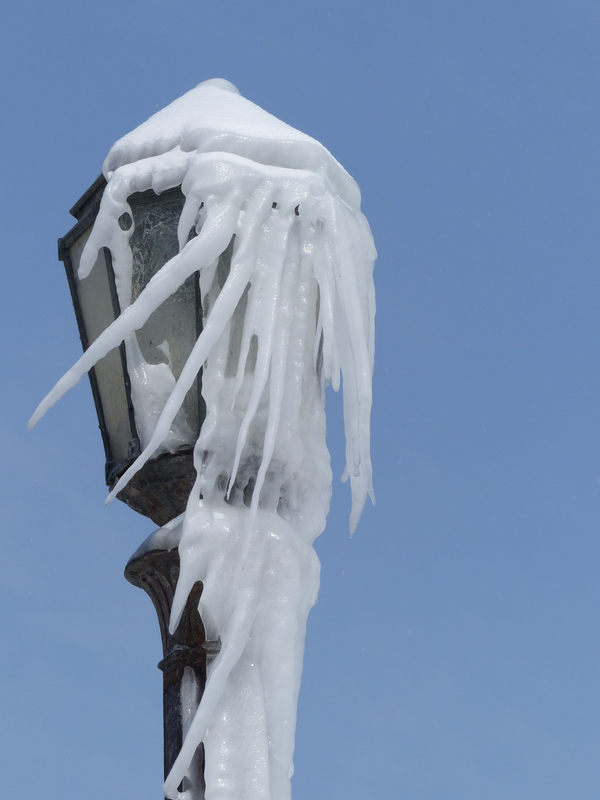 Lamppost meets Canadian winter at the Niagara Falls. Honestly, I don’t think that the winter has been that bad, especially given all the horror stories and doom-mongering we heard before we arrived. Yes, there have been days when it has been seriously cold, and there have been moments when you can’t wait to get inside or on a bus, but you wrap up in lots of clothing, make sure you don’t go outside for too long, and count your lucky stars that you have a roof over your head and don’t have a job that requires you to work outside! 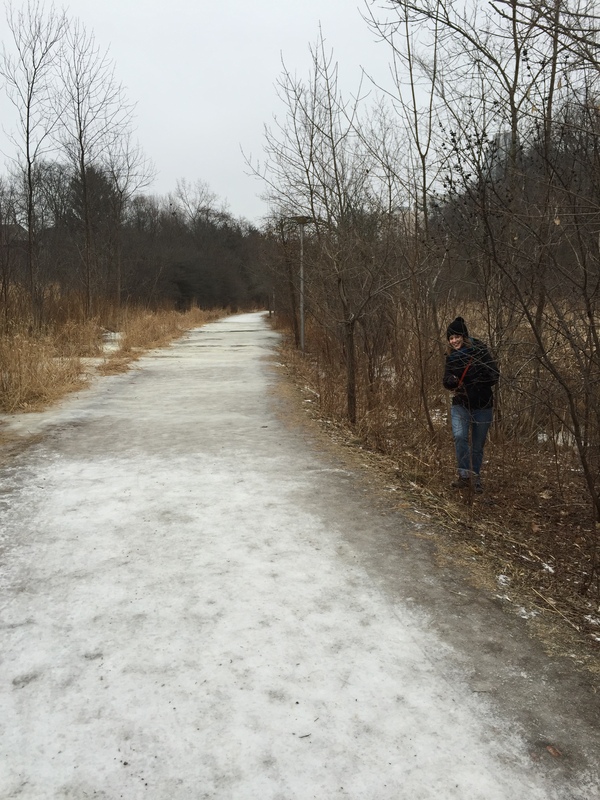 The Canadian winter turns footpaths into one long ice rink. Emma takes avoiding action. For us, the freezing temperatures have all been part of the fun. 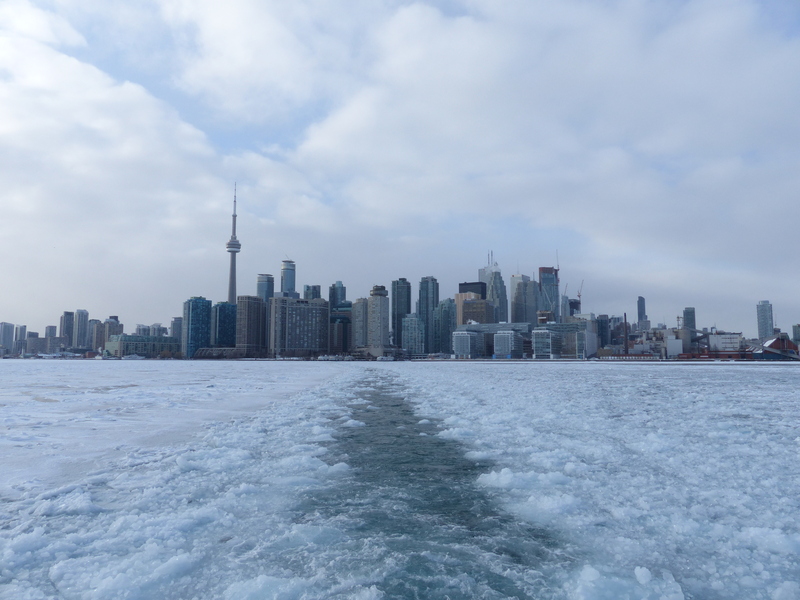 We saw cool ice formations down at the Toronto Islands and floated through a field of ice in getting there; we got to contrast the vibrant and blue summer Niagara Falls with the icy and white winter falls; we got to walk on a frozen lake for the first time; we went outdoor ice skating; and we went snow tubing. We’re now looking forward to basking in positive temperatures. No more will we have to say “it’s only -5 today, that’s quite warm” or receive screenshots of the Toronto weather forecast from gloating/worried UK family and friends! There’s only one downside to spring – all the melted snow leaves lots of dirt behind and reveals months of rubbish that it had temporarily buried! Invest in a stylish, warm and waterproof pair of boots. Wear lots of clothes/layers. Double up on your legs too. If you are in downtown Toronto, learn about the PATH and where it goes. There is a handy app available if you have an Apple or Android device. Actually embrace the winter. There will be times when you shelter indoors, and that’s fine. But take the opportunity to see some stuff that you wouldn’t normally get the chance to see. If you want to really look like a Torontonian, invest in a parka with a fur lined hood (but try not to get one with real coyote fur – we don’t want the roadrunners to have too much of an easy time…). 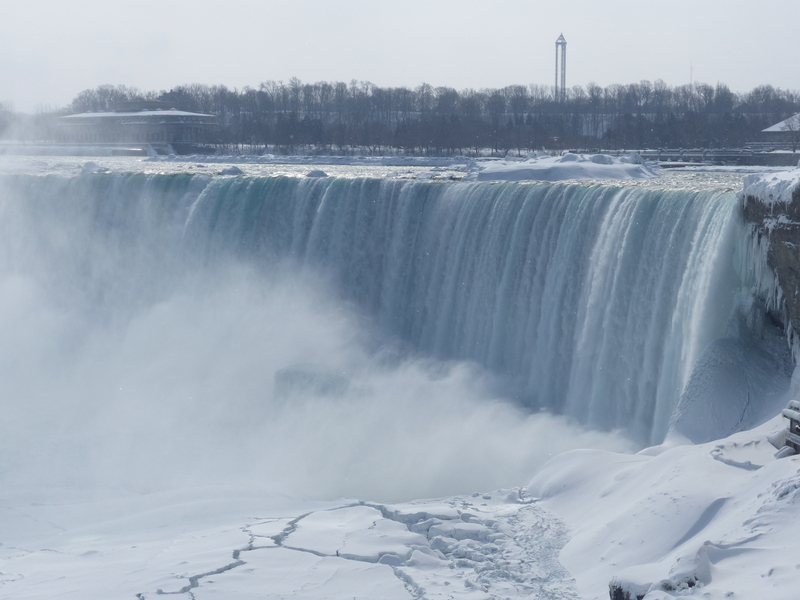 What tips would you give on surviving the winter?